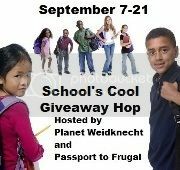 I am so excited to share Stuck on You with you during this School is Cool Blog Hop! Nothing is more cool than having great products with your name on them! Stuck on You is a fantastic shop with a flare for personalized products. Stuck on You offers a great selection of Back to School items, all personalized to make them extra special for your student. So much easier to keep track of as well when they are labeled in this super cute way. We were able to review the Lunchbox ,in pink of course! It is the perfect size for my 8 year old to pack and carry on our outings. The 500 ml Drink Bottles have several designs to choose from. It is again a great size for young ones in their lunch. 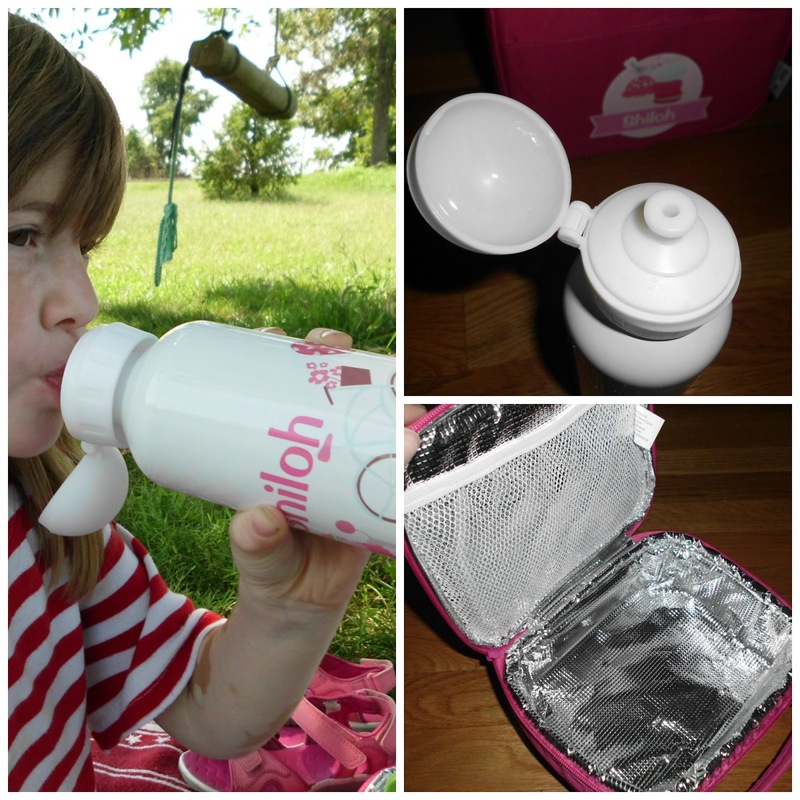 It is BPA free, love that! You can also purchase the lunch box and water bottle together in a Lunch Pack combo. 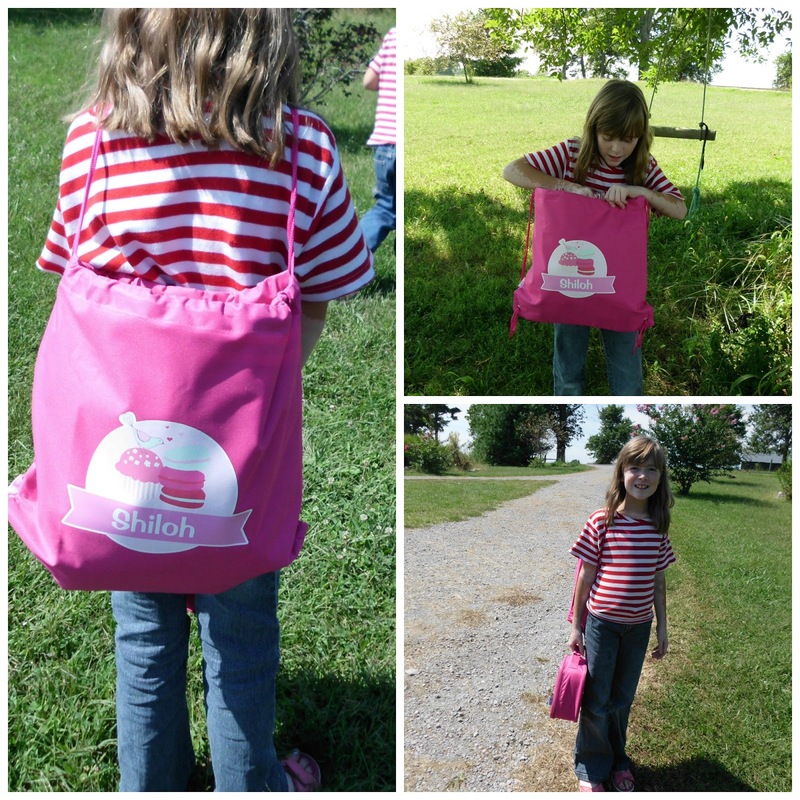 Shiloh didn't really have a need for a back pack as we go on field trips and that but she doesn't ever really have to carry a lot of items around, so we opted to review the Library Bag. Stuck on You has personalized labels as well that you can use for just about anything. They go great on books, notebooks, school supplies. 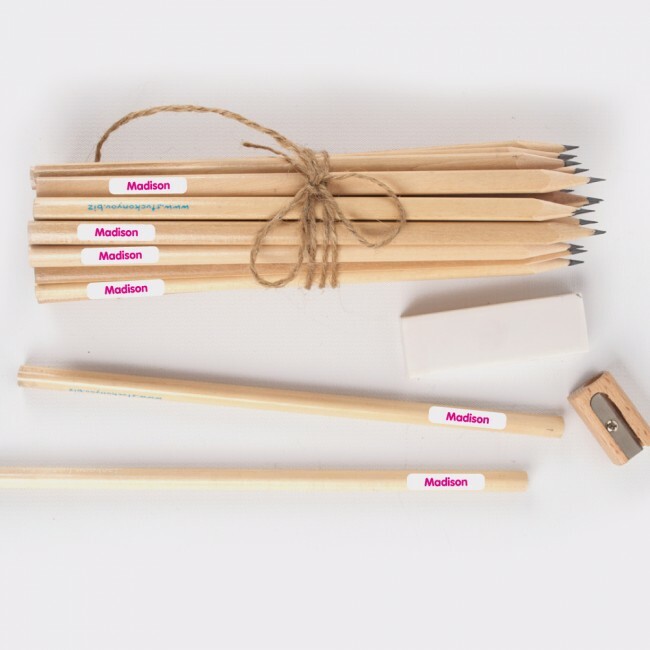 Apply them to these pencils for your own personalized artist supplies! They do sell Value Packs for the school year; labels, family packs, even the lunchbox and drink bottle combo above so be sure to check those out! 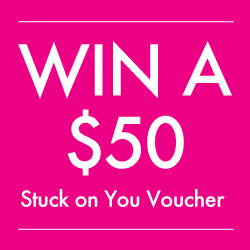 Stuck on You is offering $50 Voucher for 2 of my readers!! I like the reward charts for my grand kids. I would get some of the labels and let my daughter pick the style and possibly get a lunch bag also. I will get short sleeve tops and long and short pajama bottoms. I would start with kids designer name dots! I would like the Canvas Clock in the owl print. It's so cute. I would love to get something for my boys! I would get my son a red lunchbox! I like the Drink Bottles and the Coloring set. I like the reward charts. I like the KIDS DESIGNER BOOK LABELS. Art smock would be fun. 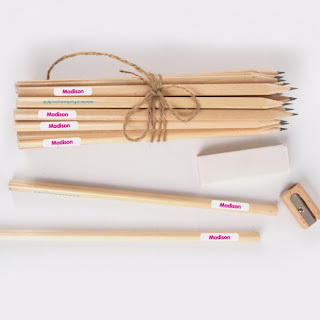 I would get the tools for school kit,very nice. I'd get my son the robot water bottle. Thanks for the giveaway! I might get the Bathrobe or the Backpack. I would like to get the Sports Bag for my son. I'd get the Wooden Number Puzzle - Boy Design. Thanks. I would get one of the backpacks! I like all of the bags! It would be hard to choose just one. Art Smocks --great for the little artist. I would like the 5+ PACK. I already have a $25 gift card from one giveaway and I want to get more so I can get something more expensive. I would get a couple of the large pocket pencil cases. I would get some trick or treat bags for my daughter and her little cousin! I like the drink bottles! I love the Personalized Spot Pencils. My son just started Kindergarten and has already discovered school lunches aren't that great! I am having fun creating new lunches and packing them! These personalized items are awesome! I'd probably get a lunchbox. I love the embroidered stuff, especially the towels and bathrobe! I would get one of the Sports bags for my son...love it! Email subscribe with sometimehermit at gmail dot com. One thing that I would get if I won is a drink bottle [http://www.stuckonyou.com/drink-bottles.html]. Thanks for the giveaway. I'd get two of the reward charts. We could really use some of the name labels. I like the Silicone Placemat(princess on swing). I like the sports bag!